Are you dreaming of success? Want to make a real impact, and transform your passion and creative energy into something amazing?! 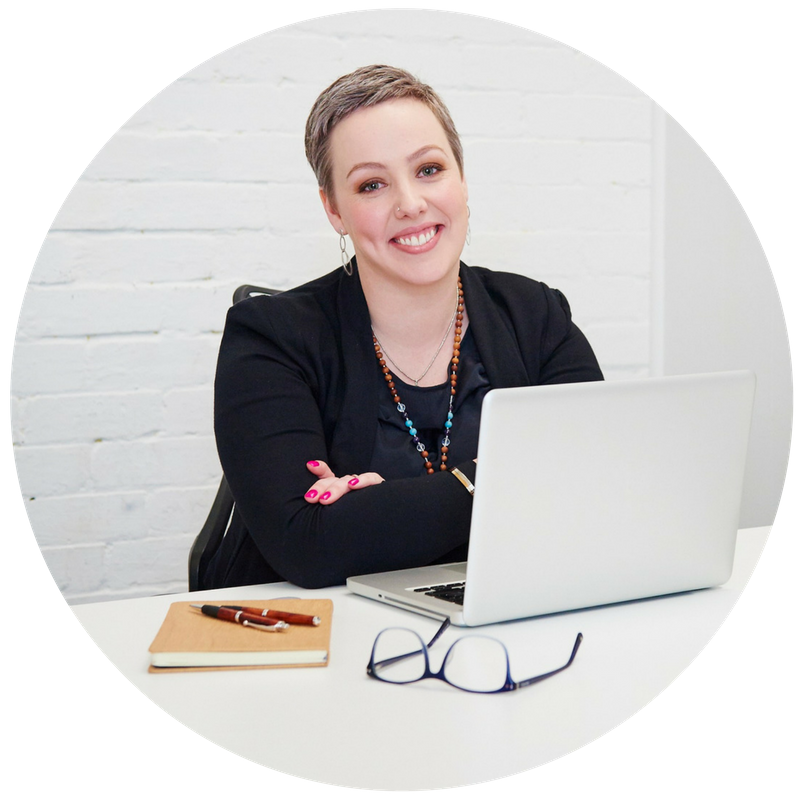 Are you looking to build a dream business that affords you the lifestyle you desire? Now, it’s one thing to have wild dreams of success and abundance, it’s quite another to actually create that reality. Last week I was looking at exactly how to make your big dreams a reality and get wealthy, by setting and planning income goals. 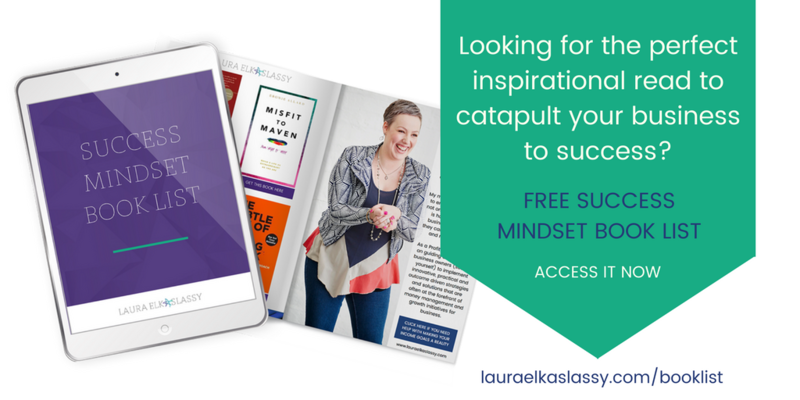 This week, I’m covering the other half of that equation: how to grow a success mindset and embrace the abundance needed to realise all those big dreams. Mindset is the biggest difference between entrepreneurs who get lost in the clouds of their amazing vision, and business owners who successfully harness those clouds, bringing them down to earth and establishing them in reality without losing any of their shine. 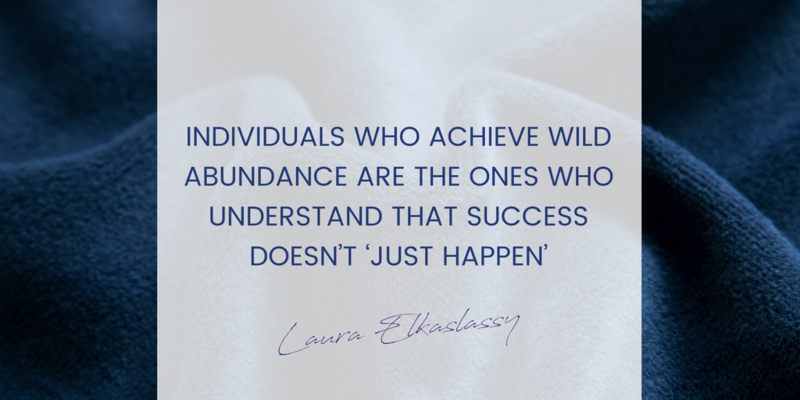 Individuals who achieve wild abundance are the ones who understand that success doesn’t ‘just happen’. It is created through the establishment of a rock solid success mindset and consistent, concerted action. These are the people who create the life of luxury they want, on their own terms, in their own way. 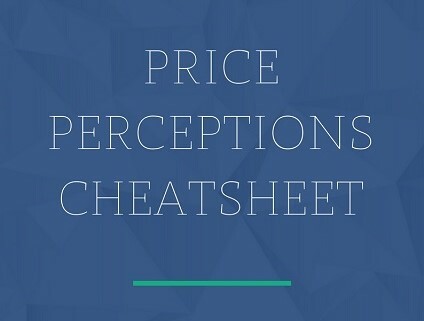 They’re not magicians or tricksters, they simply understand that the key to success is identifying and focusing on the areas that will move them closer to their dreams. They develop the beliefs needed to support their dreams. They hone their motivation to ensure it is constantly propelling them forward. And they conquer the emotional demons and baggage that could potentially hold them back from the success they are looking for. When you grow a success mindset you are developing the tools required, to take the action needed, and create the habits necessary, to achieve your objectives. 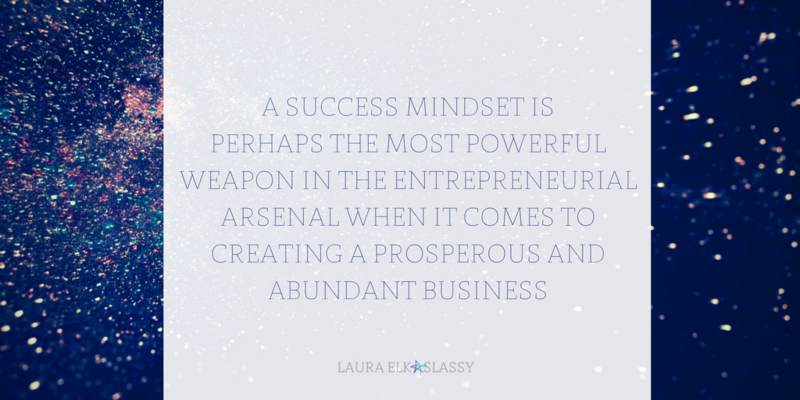 A success mindset is perhaps the most powerful weapon in the entrepreneurial arsenal when it comes to creating a prosperous and abundant business. The first (and often hardest) step towards cultivating a success mindset is actually embracing abundance. This may sound strange, but a lot of us resist the very success we crave. In theory, we want to become more successful, but as abundance starts to take hold and our lives, perspective, abilities and reach increase, something within ourselves has a tendency to short-circuit and send us waaaay off course, or stop us dead in our tracks. The more successful we become, the more we step out of our comfort zone and the more we subconsciously look for ways to return to the status quo we are accustomed to. Abundance ceases to be a positive thing we strive for, and becomes an unfamiliar thing that inexplicably causes us stress and worry. No matter who we are, how much success we currently have, or how much wealth we are accustomed to, there is a self-imposed limit on it. A point beyond which we start to feel like we are in unfamiliar territory and, even if it’s exciting territory we want to explore, abundance is still a strange and foreign land. Embracing that strageness can be very difficult, and moving past your upper limit to get comfortable with a new level of success can prove tricky. 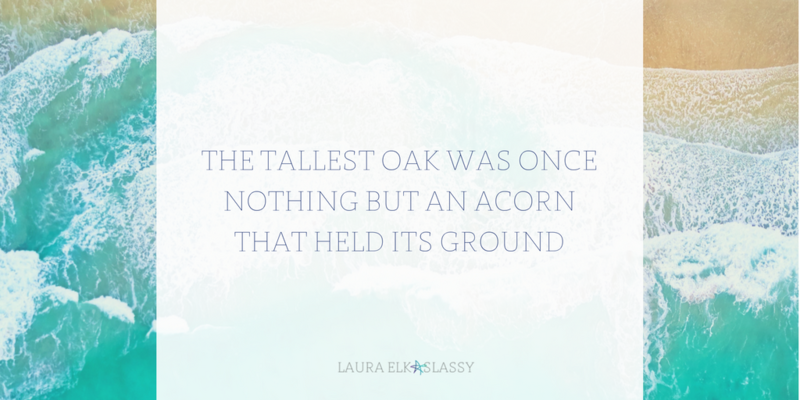 Just remember: The tallest oak was once nothing but an acorn that held its ground. We often forget that those polished, charismatic, awe-inspiring success stories often have very humble roots. The people we aspire to emulate frequently have a vibe that makes success seem effortless for them. As if it were a foregone conclusion that they never had to work for, and abundance felt totally natural to them when they first achieved it. We forget that a lot of them were once exactly where we are now: still in the dreaming stage, struggling to push into that strange and unconquered land and accept that wealth could actually belong to them, if only they chose to welcome it. Every successful business owner started out as a fledgeling entrepreneur: untried, untested, unproven, and unsuccessful. Even the ones born with a proverbial silver spoon in their mouths still had to build a business that worked before they could be considered a ‘success’, rather than a ‘trust fund baby’. We all contain the potential for an abundant life, a successful career, and a life of luxury. The majority of people won’t. 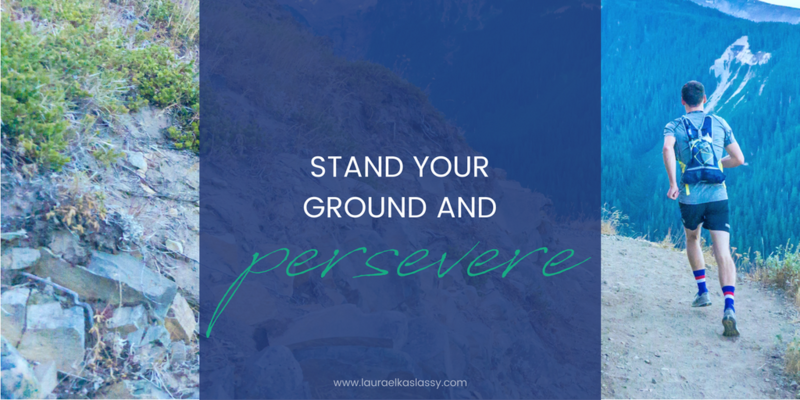 Because it requires a bucketload of courage, a lot of hard work, and the resilience to weather the setbacks without losing sight of your vision or the belief that you can succeed. You don’t need to be born rich to become successful. You simply need to stand your ground, and believe wholeheartedly that you have every right to be there. Success is one of those words that’s entirely subjective. It means different things to different people. To a lot of entrepreneurs, ‘success’ is a laptop lifestyle that allows them to travel the world, work when and where they choose, while ensuring they have the income to support them in whatever those choices may be. 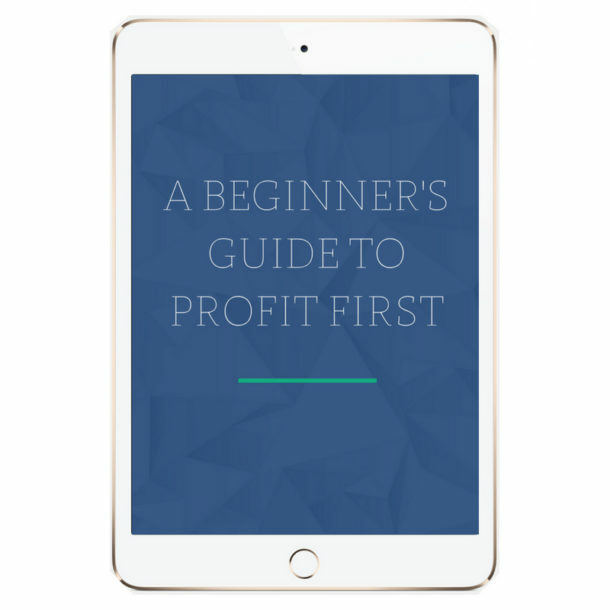 Yet for other entrepreneurs, ‘success’ is simply landing their first client. As you grow in your business your definition of success will grow with you. As you achieve new things, and hit new goals, you will find the things you previously thought defined success no longer seem to fit the definition. That’s the funny thing about achievement: huge goals become almost mundane as soon as we are capable of reaching them. This doesn’t diminish your achievements, but it does mean you’re constantly looking to the next challenge, and with each new challenge comes a new definition of success. If you caught my post last week, you will already have sat down and considered your big dream. You’ll have a pretty good idea of what success means to you (at least right now!). If you haven’t, take a little extra time to go through that post and figure out exactly where you need to get to before you will consider yourself ‘successful’. Perhaps the most important thing to bear in mind when defining your success is that ego should not enter into it. By that, I don’t mean you should be humble, but rather that you should set aside any negative emotions or guilt that may crop up when you picture yourself as a success. 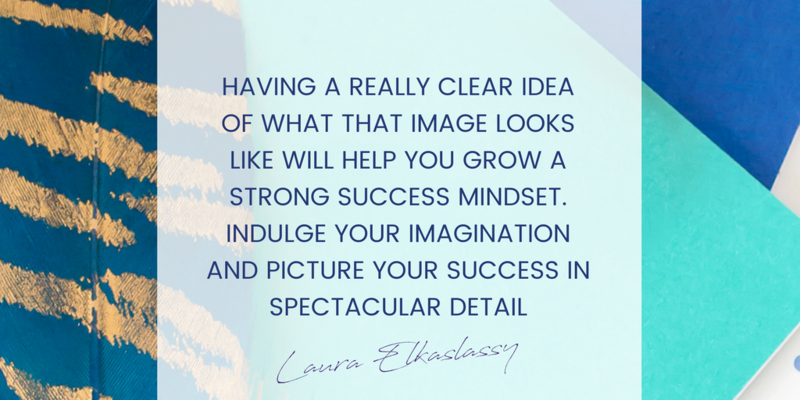 Indulge your imagination and envision your success in spectacular detail. Here’s the thing about being successful: it doesn’t always come as easily as we might like. If it did, everyone would be a millionaire, or a popstar, or sports god, or a lifestyle guru. Understanding this isn’t comfortable. It can even feel a bit off just thinking about it. Why would we stand in our own way? That makes no sense at all! We want to be successful, so surely if the only obstacle is something we have control over, it shouldn’t be an issue, right? Well, the human condition is a wonderful yet confusing thing and as such we don’t have complete control over ourselves a lot of the time. We have unwanted thoughts, feelings, fears and reactions all the time. Often these thoughts and sensations are happening unconsciously, and we can be unaware that the reason something hasn’t worked is because we have sabotaged the process ourselves. Bizarrely, it’s usually the things we want most that we’re most adept at screwing up. And still, we’re oblivious to the fact that the only thing standing in our way is actually ourselves. 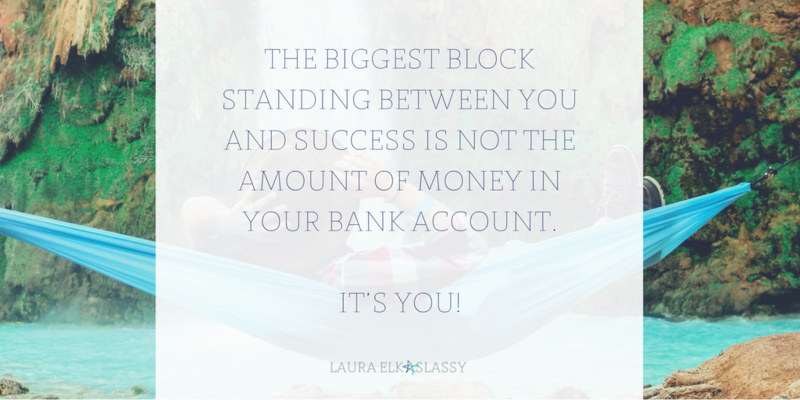 Accepting this is a huge step towards a positive and successful mindset, but it takes more than simply acknowledging that you’re likely hindering your own development… You actually have to recognise how and why you are getting in your own way, and move! This is the real key to unlocking your abundance. But how do you understand why you’re doing things when you’re not fully aware of doing them? 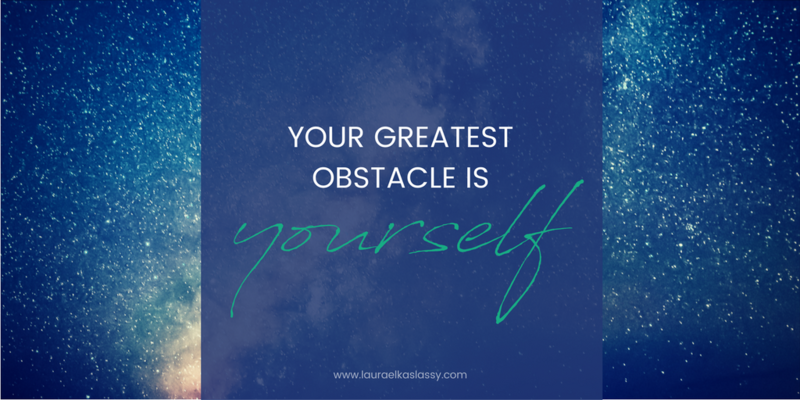 Essentially, you’re going to have to do some deep digging within yourself, root around in your brain, and excavate all those strange thoughts, fears, feelings and reactions that seemingly come from nowhere, and prevent you achieving your goals. The times you overspend on stuff you neither need nor want, sabotaging your income goals. The times you inexplicably miss your deadlines, even though you had plenty of time. The meetings you’re late to because you were faffing about doing nothing. The projects you start and never finish because procrastination and perfectionism stop you mid-way through. The anxiety that keeps you from following up with those clients, or accepting that speaking gig. All the tiny little thoughts that flit across your mind throughout the day and undermine your conviction that you’re good at what you do. You need to start paying attention to these signs! Where do these thoughts and feelings come from? When did you start thinking and acting this way? Can you identify a root cause? Perhaps it is an influential person in your life who expressed a strong opinion on the subject; a negative experience you had that you’re unconsciously reminded of in certain situations; or a social fear that you are going to be judged poorly, unfairly, or both, as a result of your work and the success it brings you. You need to reveal, understand and heal the negative mindsets that are blocking you in order to make way for the positive ones. If that sounds a little ‘woo woo’ and a lot like a therapy session, don’t worry. It’s actually quite simple, it’s just usually unpleasant to do! Whenever you have a negative thought, feeling or reaction, hit pause and think about it, really analyse it. Getting a great testimonial or a new client coming to you via a recommendation. The day you realise you’re so busy you need to hire someone else. Hitting five figures…then six…then seven. Every victory on the road to success is a mini jolt of endorphins. As soon as we catch a glimpse of that success, and get a taste of what it feels like, we want more. And we want it now! Rushing to the finish line isn’t always the best way of achieving success. It’s certainly not the best way of ensuring lasting success, and that’s really the name of the game. This urge we have to get to the end and skip out the middle is usually caused by another mindset issue: scarcity. It can feel like there isn’t possibly enough time for you to achieve everything you want, do everything you want, see and be everything that you want. Success is plausible, but you don’t have time to do it all. At least, this is how it often seems. There’s also an unnatural urgency at work here. The feeling that if you don’t do it now, you won’t have done it soon enough to really make a difference. Places a massive amount of pressure on you. Robs you of the pleasure of the journey. When all you can see is the finish line, it doesn’t matter how far you’ve travelled, or how much you succeeded at along the way, you’re unable forgive yourself for not being there yet. Success isn’t a sprint; it’s a marathon. Or, more accurately, it’s a climb. You have to pace yourself. There’s a long way to go and most of it will be uphill. That can quickly get exhausting if you’re not stopping every now and then to enjoy the view! The final piece of the success mindset puzzle is self-belief. Belief in yourself, your abilities, your potential, your business, and most of all the inevitability of your success. It’s not egotistical to believe you will succeed, it’s actually common sense. If you’re good at what you do, have a solid business plan, a clear map to achieving your big dream, and you put the work in, you will get there. Believing in that inevitability is vital, especially as you encounter obstacles and setbacks along the way. Belief that your eventual success is a certainty is what will allow you to effectively navigate those obstacles, and find creative solutions to problems when they arise. Without that belief, you may well encounter an obstacle and see it as insurmountable. There’s no way past it, there’s no way around or through it. It’s there, and that’s it. Your dream of success is abruptly over. This is one of the reasons to view your journey to success as a climb. There will be obstacles along the way, but that’s what makes it an adventure. You will occasionally have to climb down a way, but only so that you can find the correct path to reach the higher peaks. If you’re looking for more inspiration to help you nail that success mindset, I’ve put together a list of great books that I recommend reading. Download them, get reading, and if you know of any awesome reads that I’ve missed pop a comment below and let me know!